Knowledge of Council-Manager form of government, knowledge & functions of municipal government, responsible for control, certification and authenticity of city documents, assists Mayor and City Manager’s office as needed, performs other administrative/supervisory functions in accordance with City Charter, State laws, city ordinances/policy. Serves as election administrator for city elections. Administers city records management program, performs assigned accounting functions, attends all City Council meetings, prepares agenda, maintain minutes of meetings, contracts, deeds, easements, any/all official city documents, city assets, and other assigned duties. Requires high school diploma, preferably Bachelor’s degree in Public/Business administration but not required, TMCA certification or within three years, and three years of experience in an administrative position or related field is required. 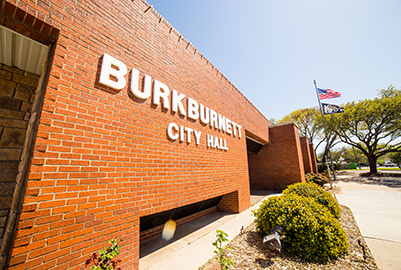 THE CITY OF BURKBURNETT IS ACCEPTING APPLICATIONS FOR A TEXAS CERTIFIED PEACE OFFICER. THIS PERSON MUST CURRENTLY HOLD A PEACE OFFICER LICENSE. THIS IS A FULL- TIME POSITION WITH ALL CITY BENEFITS. HIGH SCHOOL DIPLOMA OR EQUIVALENT REQUIRED. PRE-EMPLOYMENT PHYSICAL AND DRUG TEST REQUIRED. ALL INTERESTED PERSONS MAY PICK UP APPLICATIONS AT CITY HALL, 501 SHEPPARD ROAD, BURKBURNETT, TEXAS, 76354 BETWEEN 8:00 A.M. AND 5:00 P.M., MON. – FRI., OR ONLINE AT www.burkburnett.org OR MAIL RESUME ATTENTION: TRISH HOLLEY, DIR. OF ADMINISTRATION. THE CITY OF BURKBURNETT IS AN EQUAL OPPORTUNITY EMPLOYER.